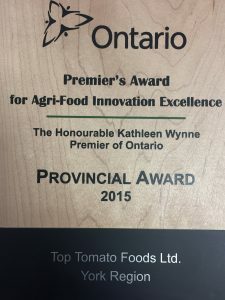 In 2013, Top Tomato Foods was honoured to win The Premier’s Award for Agri-Food Innovation Excellence for growing Artichokes in Ontario. 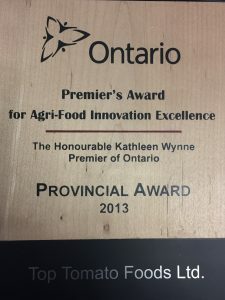 In 2015, we won for our innovative broccoli bunching process. This entry was posted in Top Tomato Foods. Bookmark the permalink.